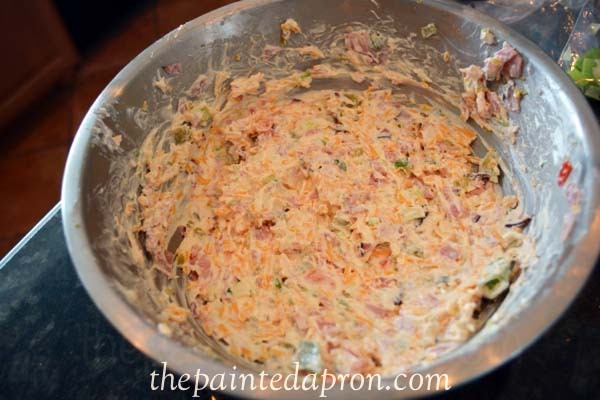 This is a great dip to take to a party, it’s already in a bowl! and chasing little “Miss Firecracker” around! Preheat oven to 375. 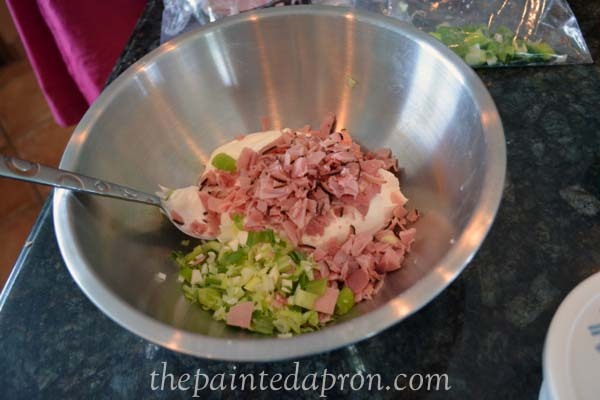 Combine ham, with remaining ingredients in a mixing bowl and season to taste. 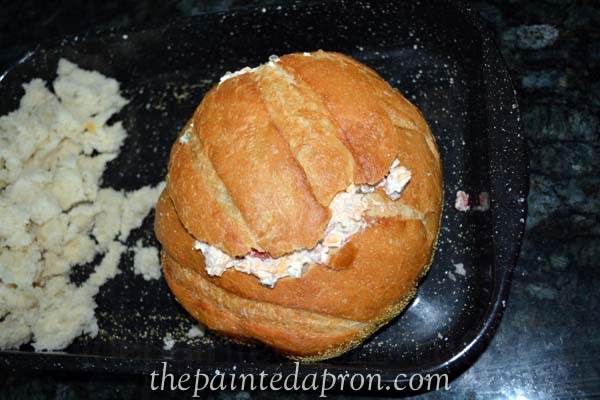 Cut a slice off the top of the bread round to expose the soft interior. Reserve bread top. Using your fingers or a knife, carefully remove the soft insides of the bread loaf, so all that remains is an empty bread shell. Reserve bread crumbs for a later use. 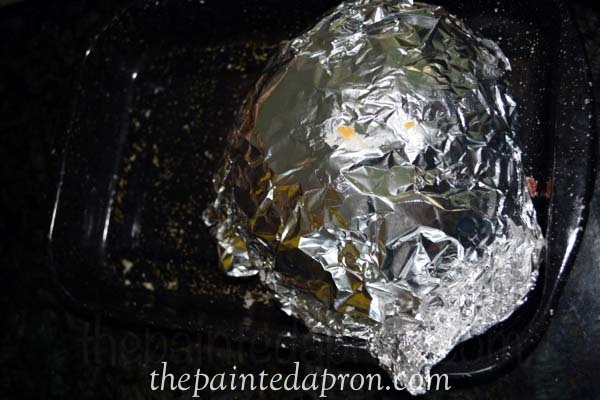 Put dip into bread bowl and replace “lid.” Wrap the whole loaf tightly in foil. 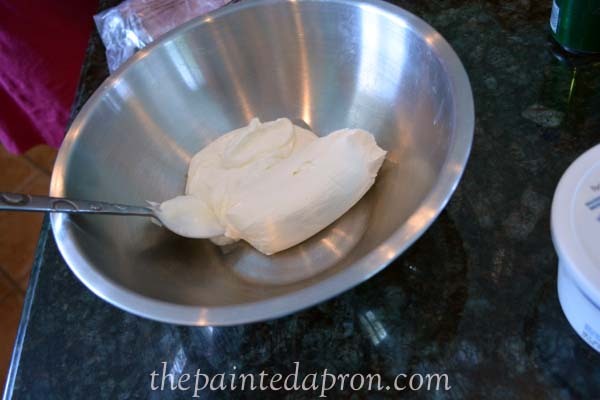 Bake on a pan for 1 hour or longer until dip is heated through. 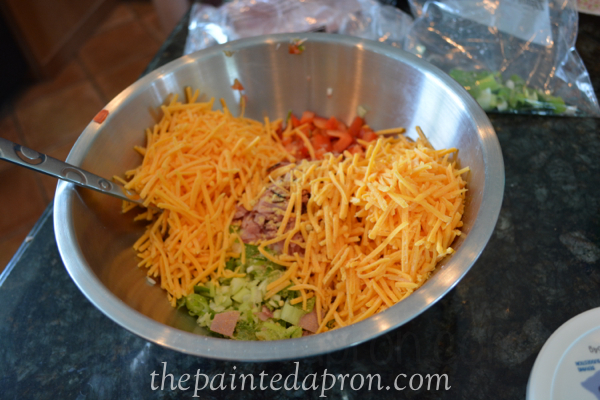 Serve with sturdy chips or toast points. Thanks for stopping by, I just love your visits! Jenna, I haven’t had dip in a bread bowl in ages, I would be the one hiding the top 🙂 Miss Firecracker is adorable! This is one our family would definitely like! I think I will send it to the girls. I’m kinda busy. :-) Maybe one of them will take the hint! Aren’t you sweet Rosie! One of the main reasons I started blogging was to get back to cooking more often and a wider variety~it makes me really happy to know that I have inspired you too! Hopefully DD can get started creating again when she retires. Her recipe looks delicious, so we’ll enjoy this one for now. 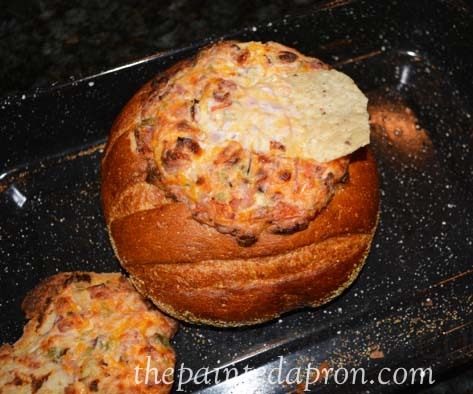 I love anything in a bread bowl, don’t you? I’m pinning so I’ll have it on hand to make when I’m ready. Thanks for sharing! 🙂 Hugs to Cutie Patootie! 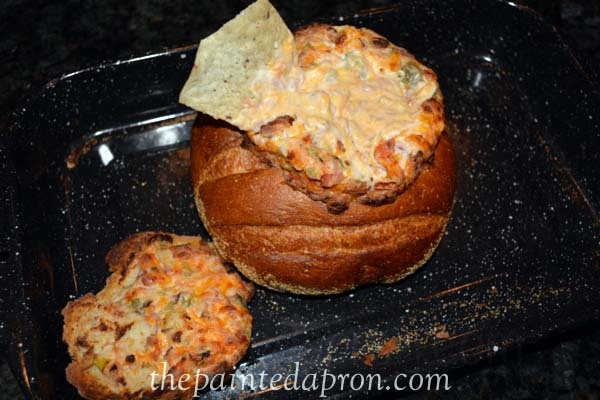 I love anything in a bread bowl but I haven’t made it at home yet. 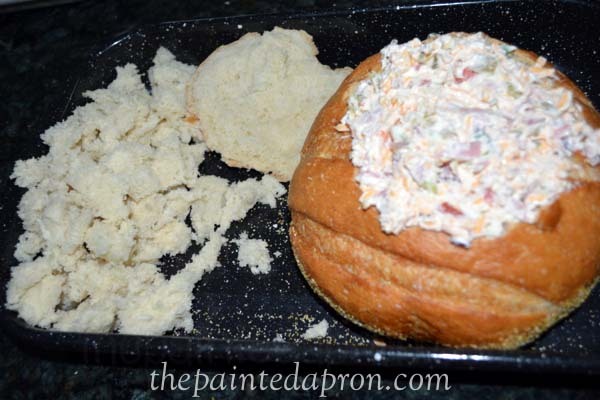 I make bread and have made a few bread bouls but I always eat and never think about stuffing it or anything. 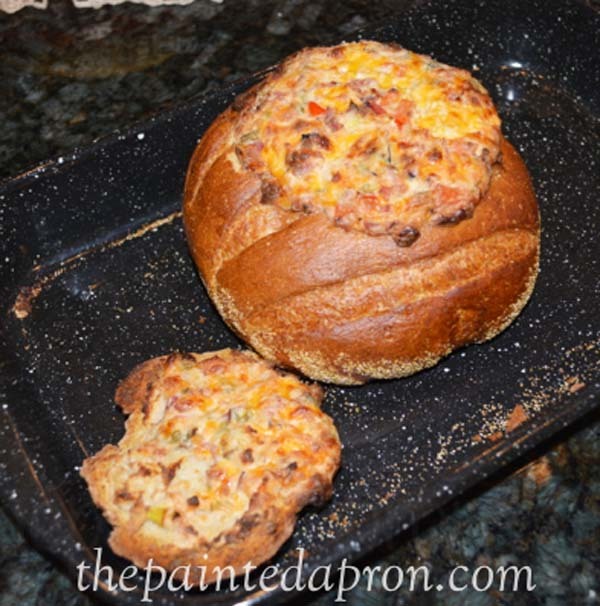 I love the cheesy melty goodness of this recipe. thanks Joy, it’s pretty addicting! That baby is absolutely precious and that hat, oh my goodness! 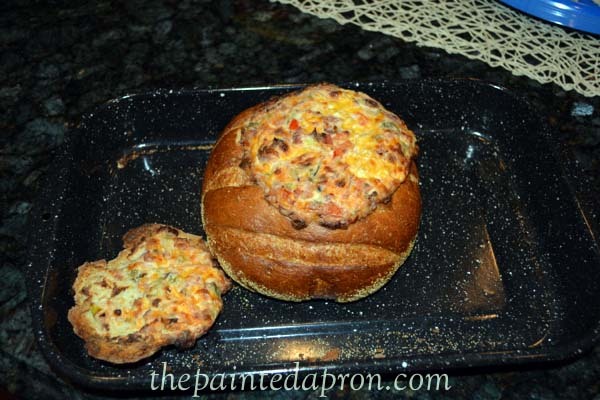 I just love your bread bowl and the stuffing looks fabulous, we WILL be having this one. Thanks for sharing with Full Plate Thursday, I always look forward to your visits! Oh, Jenna, this looks and sounds delicious…I have a feeling your daughter is very culinary creative! 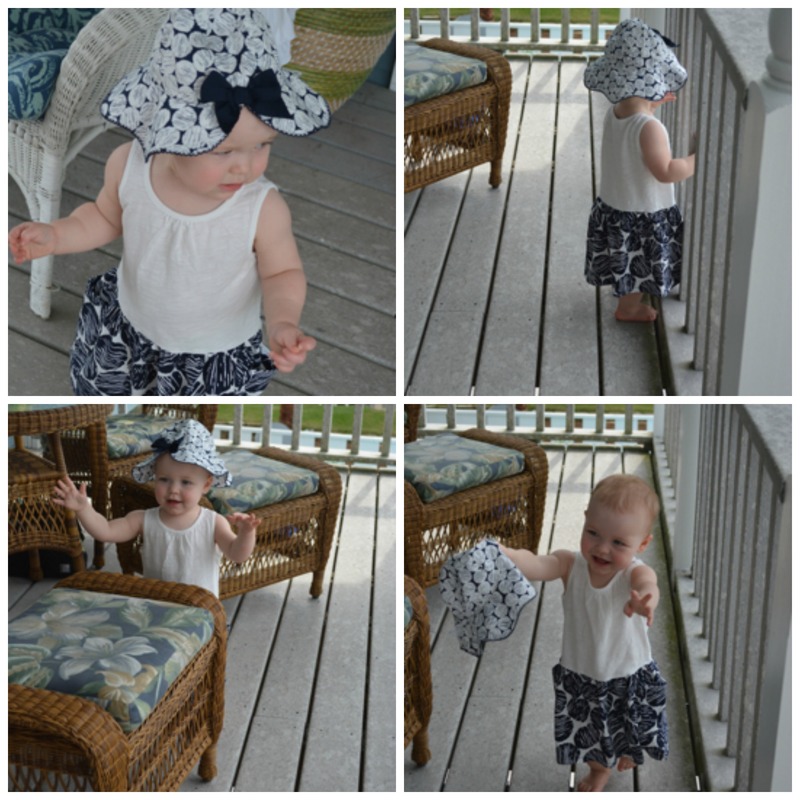 Your little granddaughter is adorable. This sounds and looks amazing…gonna make one for our home fellowship group. Thanks so much. They’ll love it, I’ve never had a bite left!